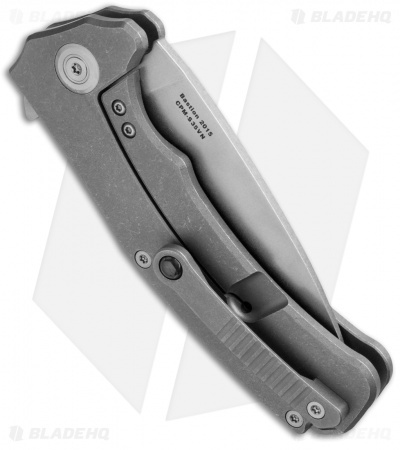 Blade HQ is proud to offer this exclusive Bastion folder from Stedemon Knife Company! This knife features premium S35VN blade steel and a titanium handle with stunning textured carbon fiber insert. With regards to features and details, no expense was spared. The Bastion sports the Todd Begg ceramic ball pocket clip, which fits nicely with this delightful knife. The full-flat ground blade rides on a ceramic ball-bearing system making the action velvety smooth. The replaceable stainless steel lock bar insert also acts as an over-travel stop. The titanium backspacer sports an integrated lanyard hole for those who like to accessorize, rounding out this full-featured knife from Stedemon. 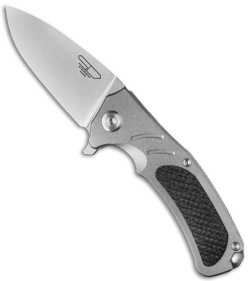 Love this knife (and the new price) but the backspacer rattled. I tighten the screws, I put it in a vice and tightened the screws...still rattled. I took it apart and put a thin plastic liners I cut to fit...no more rattle. 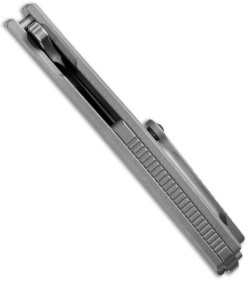 I have plenty of S35VN knives but for some reason, this one is easier to sharpen to a razor edge. LOVE that!!! Don't care where it's made. GREAT knife! I received this knife in a pass-around a few months ago and love it. Feels great in hand, the materials and attention to detail on construction are all top notch. Lightning fast flipper action and an overall BEAST. 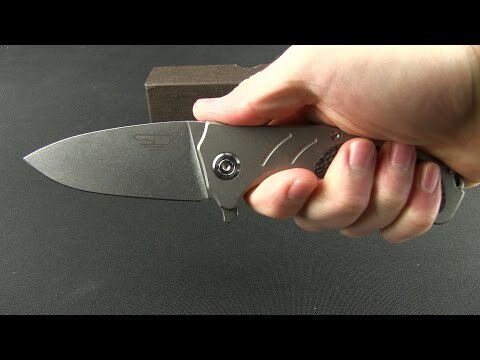 China is really stepping up their knife game and it shows with the Bastion. In case you didn't know this knife is off the hook with its great ergos when doing heavey cutting, flipper is great , blade is great. the only downside is that it is made in china but I sure cant tell. one of the best knifes I got and I am very very happy with it. Feels great in the hand when doing heavy cutting and really griping the knife. Lock up is smooth as butter and it's very easy to get closed which is very important. It flips open great in every position. Solid as a rock and worth every penny of what you paid. I'm very happy and can't find anything bad with this knife. You would never think this knife is from China- trust me.